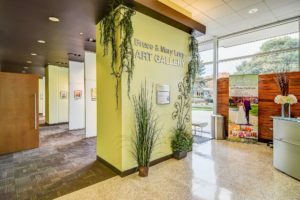 Opened in 2007, the Bruce and Mary Leep Art Gallery showcases local, regional or national artists using a wide range of techniques, subjects and themes that reflect our community, and are representative of talented artists from amateur to professional. 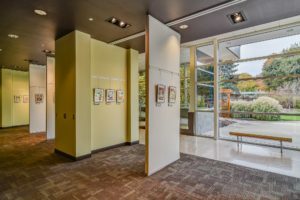 A different artist or group of artists is featured each quarter of the year. 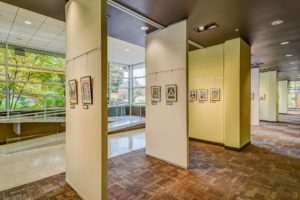 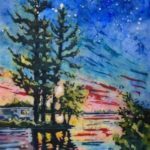 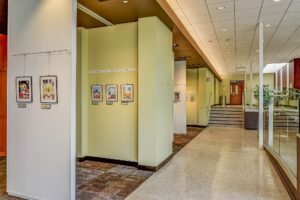 Some of our past artists have included ArtPrize 2010 grand prize winner Chris LaPorte, John August Swanson serigraphs from the Richard and Helen DeVos collection, and Michigan photographers Brad and Todd Reed. 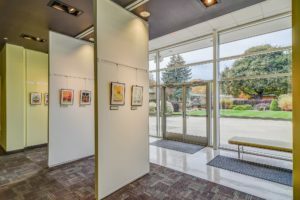 The gallery purpose is to display art that supports the mission of Pine Rest Christian Mental Health Services, expand visual literacy through a variety of art displays and provide patients, residents, staff and visitors opportunities for spiritual growth through viewing different visual expressions of faith. 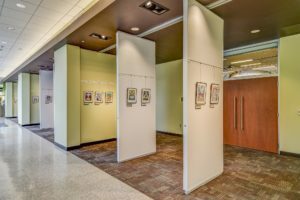 The Leep Art Gallery is free and open to the public.